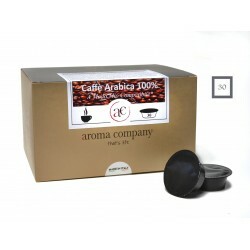 Coffee in packs of 100 capsules. * The brand is not the property of "Il Mondo in capsula srls" nor its related companies. 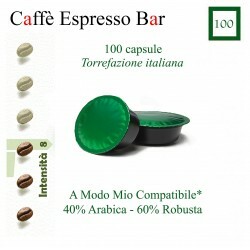 A Modo Mio * Coffee in Capsules and Pods compatible with Lavazza There are 10 products. Aroma Company coffee capsules Quality coffee blend from Italian roasting for coffee machines Lavazza A Modo Mio. 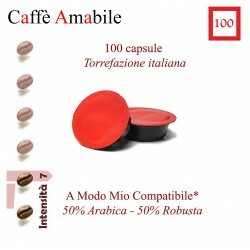 100 capsules of roasted quality coffee in Italy. Quality 100% Arabica. Intensity 9 The color of the capsule is black. Blend of roasted and ground coffee.Traditional, sweet with notes of caramel. Package with 100 capsules.Blend of quality coffee from Italian roasting for Nespresso coffee machines. 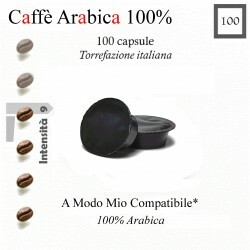 100 capsules of roasted quality coffee in Italy. 50% Arabica and 50% Robusta quality. Its color is RED. Blend of qualitBlend of quality coffee from Italian roasting for Espresso Point coffee.100 capsules of roasted quality coffee in Italy. 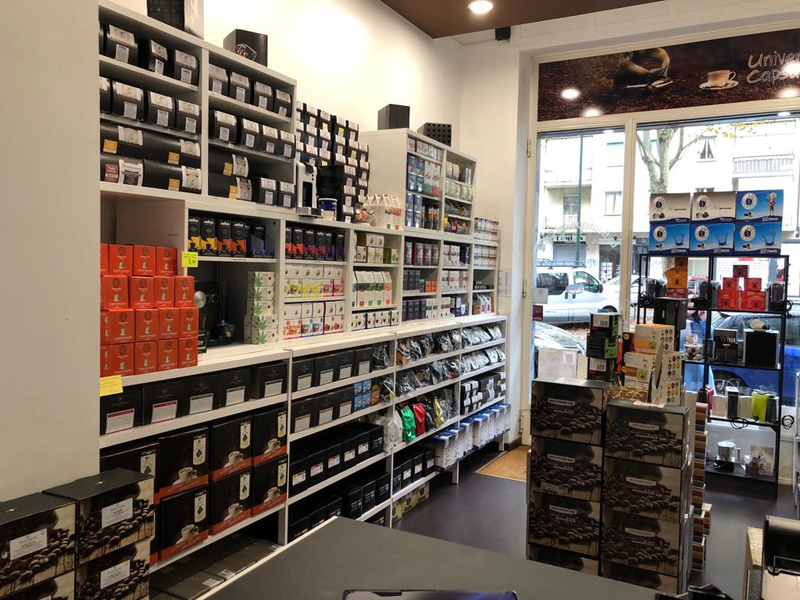 Quality 30% Arabica and 70% Robusta.y coffee from Italian roasting for Espresso Point coffee machines. 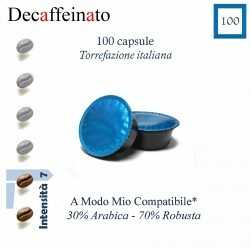 100 capsules of roasted quality coffee in Italy. Quality 30% Arabica and 70% Robusta. Caps. coffee Aroma Company Italian coffee roasting quality blend for Lavazza A Modo Mio coffee machines. 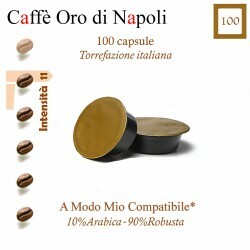 100 capsules of roasted quality coffee in Italy. Quality 40% Arabica and 60% Robusta. Intensity 8 Deciduous, creamy, intense with sweet and chocolate notes. 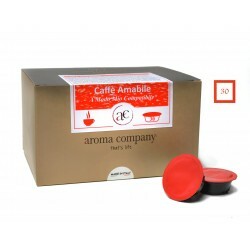 Aroma Company coffee capsules A blend of Italian roasting quality coffee compatible A Modo Mio *. Aroma Company coffee capsules A blend of Italian roastingquality coffee compatible A Modo Mio *.